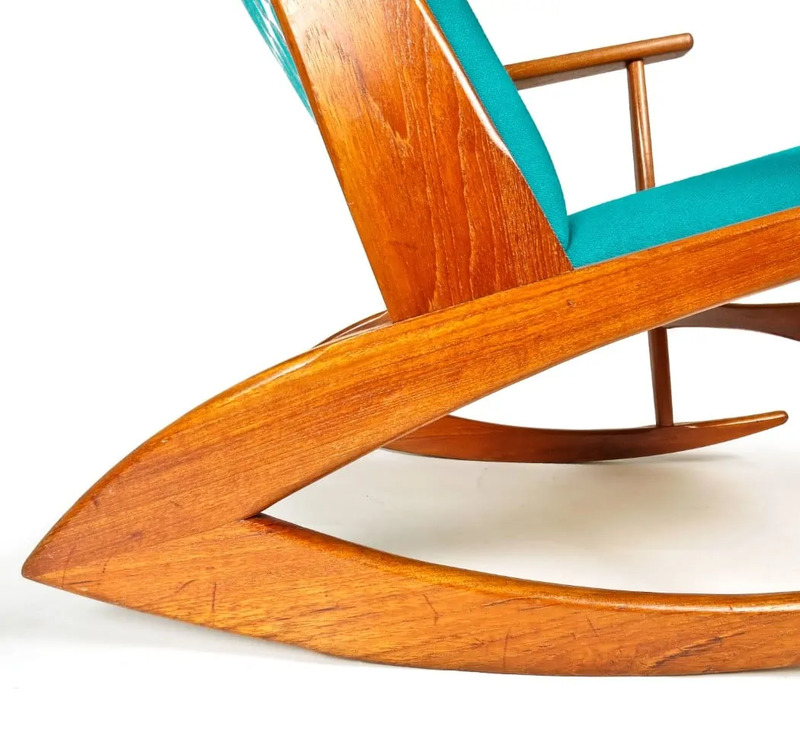 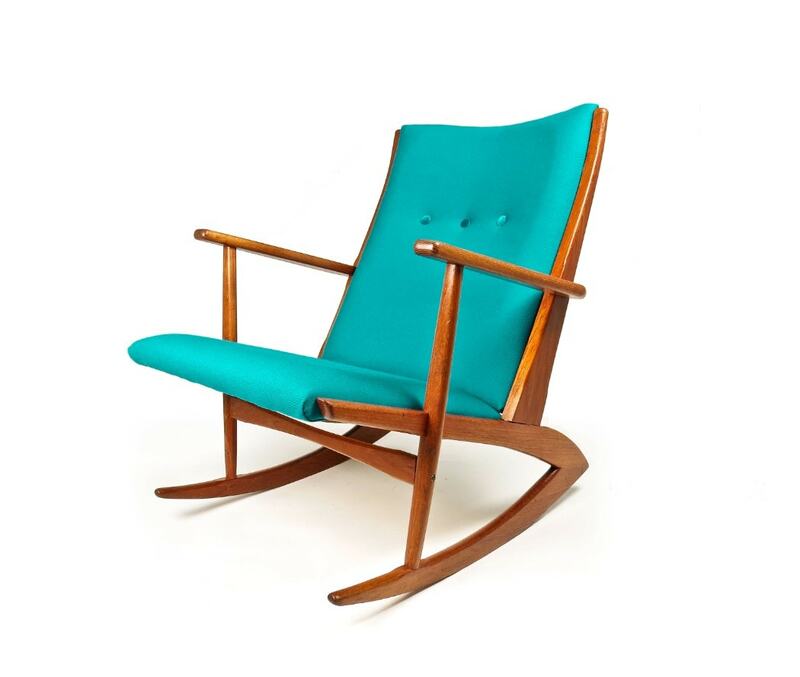 A rare Danish mid century rocking chair designed by Holger Georg Jensen for Tonder Mobelvaerk in 1958. 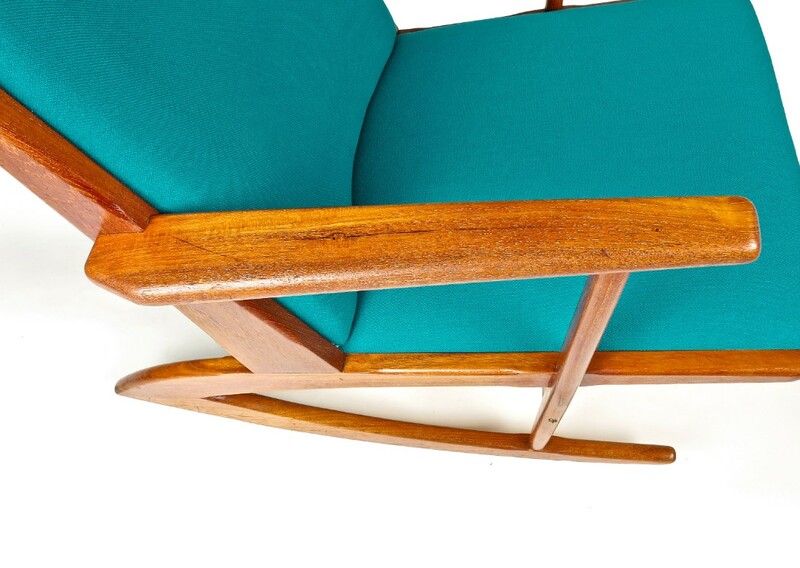 Lovely rich colour to the teak of set nicely by the newly reupholstered teal wool fabric with velvet buttons, backed by a 50’s inspired fabric by Osborne & Little. 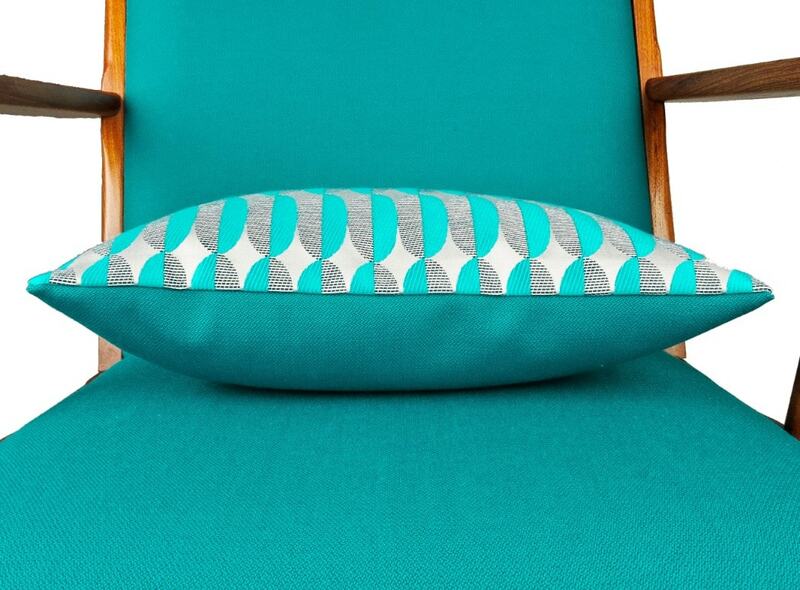 Finished off with matching feather down cushion. 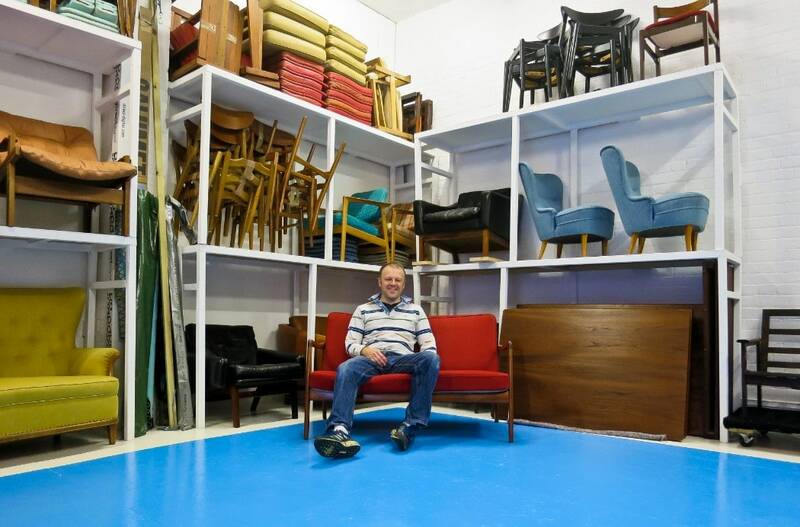 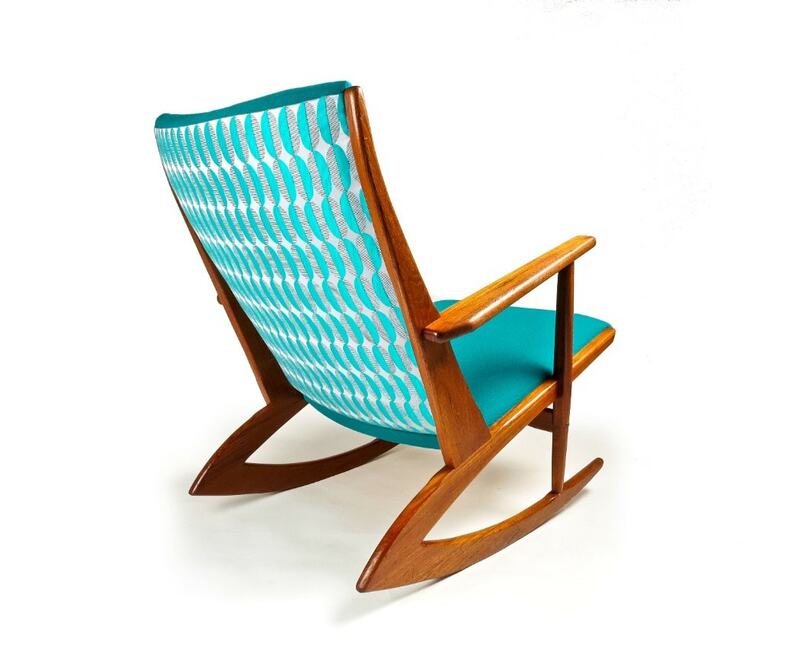 Has been thoroughly cleaned and restored and is an an excellent original condition. 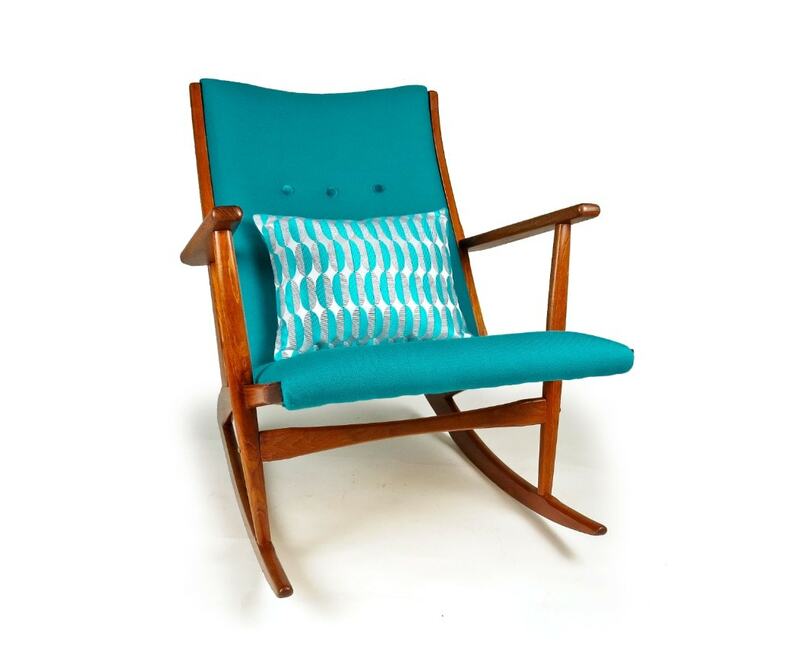 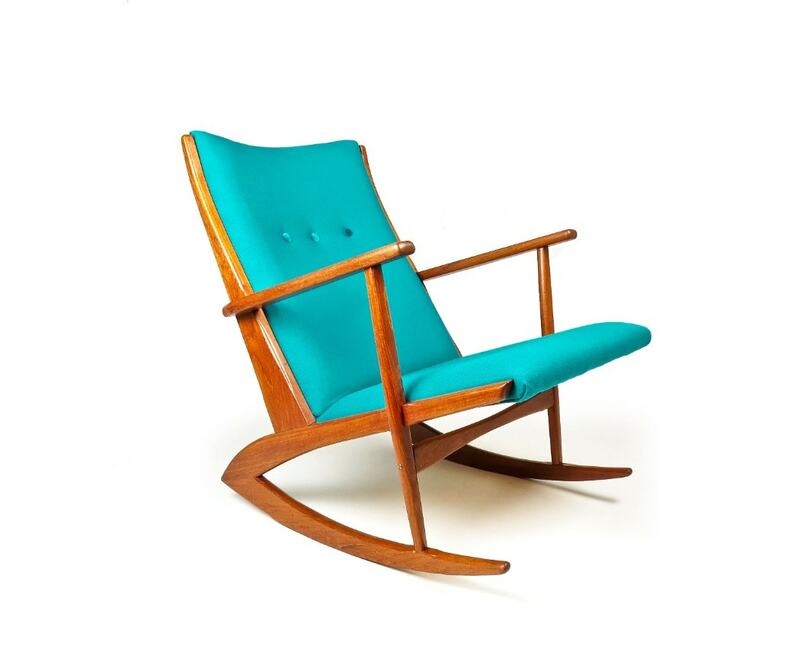 Mid Century Rocking Chair Carefully Restored With Interesting Use Of 50’s Style Colours And Design.